The Power of 10 is a very unique, worthy addition to the self-help genre, one that almost anyone could benefit from. 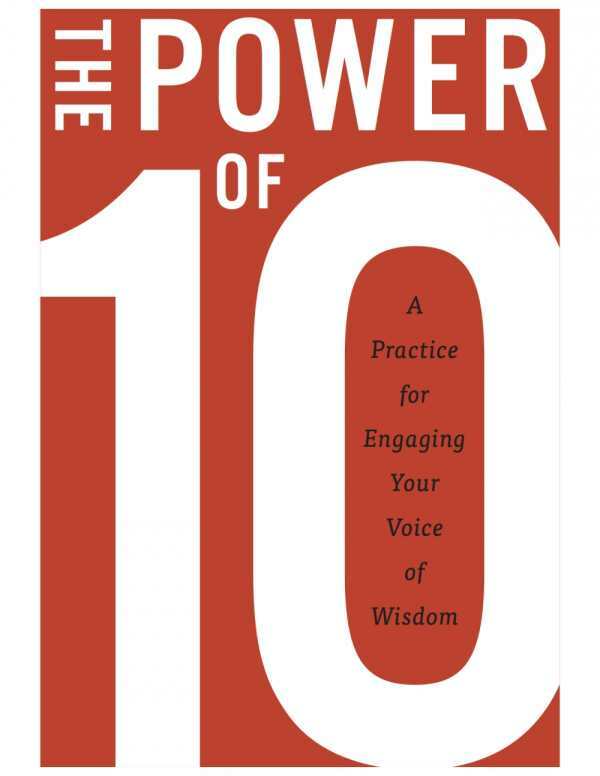 Anyone needing some extra inspiration or feeling stagnant or hopeless in their lives will benefit from reading Rugger Burke’s The Power of 10: A Practice for Engaging Your Voice of Wisdom. Far from an ordinary self-help book, it delves deeply into what is ingrained in every person if he or she would just take the time to listen. Burke isn’t just a talking head, either; he’s been through it. Over the course of a year, his mother was diagnosed with cancer, his marriage ended, and he left a successful career. While volunteering on the crew of a boat crossing the Pacific Ocean, he wondered what kind of legacy he would leave if, by some chance, he never returned. This prompted him to develop The Power of 10, with ten being the sum of five personal inquiry questions and five guiding advocacy principles to live by. Each chapter begins with a stirring quote, such as Anaïs Nin’s thought-provoking “We don’t see things as they are, we see them as we are.” The inquiry chapters discuss important questions such as “Who Am I?” “How Do I Impact Others?” “How Will I Spend This Day?” “What Is Happening in This Moment?” and “How Do We Become Our Greatest Selves?” Once those topics have been addressed, Burke then reveals the advocacy part of The Power of 10. By standing tall, being kind, planning ahead, letting go, and choosing love, anyone can use the answers to the inquiry questions to live a happier, more meaningful life. Finally, he writes about how people can practice these principles so they become ingrained in the mind. The bright red cover with large lettering immediately catches the eye. This isn’t a book that wants to fade into the bookshelf. Each chapter is very well organized, particularly the inquiry questions, which are separated into “For My Self,” “For Others,” and “For Living Into.” Burke doesn’t just pay lip service to each question/principle either—The Power of 10 is filled with real-life examples that anyone can relate to. The book is also very well written and edited. Sentences flow just as they should, providing high reader engagement without dumbing anything down. The Power of 10 is a very unique, worthy addition to the self-help genre and practically anyone would benefit highly from reading it. There are few books that someone could say were transformational in his or her life, but this just may be one of them.